A new Xenon flash that is compact enough to fit into some of the smallest phones may provide a brighter future for their owners who just can't seem to properly light their dim-looking photos. The slim-phone-friendly capacitor that's still able to store enough energy for a Xenon flash was developed by scientists from Nanyang Technological University (NTU) and being produced by Xenon Technologies. "This project will yield a breakthrough solution for the digital imaging industry, which will be the world's smallest Xenon flash," said Xenon Technologies CEO Jack Tuen in a press release. "Our customers and consumers at large constantly demand for a proper Xenon flash which can fit into increasingly smaller and beautiful form factor mobile devices. This is the answer which fulfils that need." With the goal of lighting the way to better-looking photos, this Xenon flash on a diet is made from polymers layered together and it contains a capacitor that is at least four times smaller than current electrolytic capacitors. "The multi-layered polymer capacitor is also able to deliver the same electricity charge needed to power high-intensity Xenon flash light matching those found in digital cameras," said the school in a press release. This advancement is thanks to the two and a half years of work of the inventor and Associate Professor Lee Pooi See and her team of researchers at NTU's School of Materials Science and Engineering. "With XT's expertise in developing successful commercial products, we are confident that this collaboration will result in a disruptive innovation," she said in a statement. "Not just in the area of flash technology, but also in the world of consumer electronics, as all computers and devices requires the use of capacitors in one way or another." With funding from Singapore's National Research Foundation Proof-of-Concept grant, the NTU-Xenon team expects to have a commercial prototype ready by September of this year. 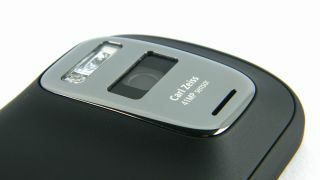 But don't put away your Xenon-flash-boasting Nokia 808 PureView just yet. Tuen told CNET that he was confident that mobile phone manufacturers will take to the new slim Xenon flash - but it won't be in a flash. Instead, look for the new technology in devices sometime in the end of 2014.